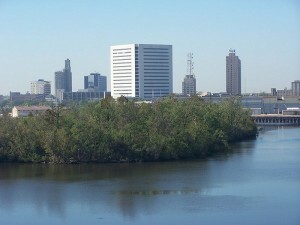 Beaumont Texas is the hometown of USVA Realty. There are 2 Beaumont VA Realtors serving the Southeast Texas area that are two of the best in the nation. If you need a Texas VA home loan in Beaumont we can help with that too. We have several Beaumont VA approved lenders that we work with on a daily basis. No purchase is too big or too small. Once you Press the “get started” button on this page, and send us your information, a Texas VA home loan specialist will call you the same day. While on the phone, let us know if you need help starting the VA home loan process and we will have a Beaumont VA home mortgage specialist call you. Your Beaumont VA home loan can be used to purchase a newly constructed home or an existing home in Beaumont. We have access to every home listed in the Beaumont MLS. Once we help you find your ideal home, it will take about 30 to 45 days to close. Our Service area is as far North as Silsbee and Kountze and as far South as Port Arthur and Winnie. We Service as far as Orange to the East and as far West as Sour Lake and Nome. We also provide services to Lumberton, Nederland and the rest of Southeast Texas. USVA Realty is in the business of making it easy for Veterans to buy homes. There is no charge for our buyer representation services when you purchase a home with USVA Realty. Call or email today and let us show you how easy it is.